Founder & Managing Director of Robinson LLC. He has been practising in the area of intellectual property and technology for more than 20 years, in particular, contentious matters. During this period Cyril was advising major clients in the telecommunications, software, luxury goods, automotive parts and IT companies in relation to intellectual property enforcement and anti-counterfeiting in the Asia Pacific. He coordinates a team of multi-jurisdictional anti-counterfeiting lawyers and practitioners in the region. He works closely with counsels and business units of large multinational companies in the enforcement of their intellectual property rights. He also regularly assists clients in supply chain issues, software and technology licences, copyright, trade marks and trade secrets. Cyril studied law in the National University of Singapore. He started practice in 1996 with the firm Alban Tay Mahtani & De Silva which later became Bird & Bird ATMD. In 2016, he left the partnership with his team to start Robinson LLC. Cyril enjoys charity work. He has been sitting on the boards of various charities and statutory bodies since 2004. His area of expertise is in the area of intellectual property, specialising in brand enforcement in both contentious and non-contentious matters. He regularly advises multinational clients on issues of trademark, copyright as well as registered designs infringement. He is also responsible for advising clients on the formulation of a comprehensive protection and enforcement strategy of key intellectual property assets. Mervyn graduated from the National University of Singapore with a Bachelor of Laws degree (LL.B.) (Hons) in 2014. He was admitted as an Advocate and Solicitor of the Supreme Court of Singapore in 2015. In addition, he holds a Bachelor of International and Global Studies (BIGS) with a double major in Government & International Studies and Sociology from the University of Sydney. Prior to his law practice, Mervyn was an international relations executive in the Public Service Division, Prime Minister’s Office, Singapore. Emmanuel graduated from the University of Queensland with a Degree in Science as well as a Bachelor of Law and was admitted as an Advocate and Solicitor of the Supreme Court of Singapore in 2014. In his practice, Emmanuel specialises in the areas of Intellectual Property and more specifically, anti-counterfeiting and brand protection; and regularly advises multinational clients on issues of trademark and copyright infringement, formulating customised tailored protection and enforcement strategies of the protection of their key intellectual property assets. Since 2014, Emmanuel has also handled a broad range of Corporate and Commercial matters including competition, regulatory and public procurement, and has worked with regulators and governmental agencies, having been involved in a large number of projects and advisory work for agencies such as the Ministry of Manpower, the Building and Construction Authority, the National Arts Council and the newly formed Tripartite Alliance Limited. In addition, Emmanuel has a keen interest in the area of HR and employment and has advised considerably on various employment law matters ranging from regulatory requirements to complex matters, industrial relations negotiations and post-employment restrictive covenants. Clients have described Emmanuel as prompt and pragmatic, always willing to take time out to understand a client’s business intimately in order to provide them with the customized practical solutions that they require. Tony graduated from the University of Birmingham with a Bachelor of Laws (LLB) (Hons)) and also holds a Masters of Environmental Law (MEL) from the University of Sydney. He was admitted as an Advocate and Solicitor of the Supreme Court of Singapore in 2012.
regulatory compliance and public procurement. In addition, Tony has a keen interest in matters concerning renewable energy and environmental protection, and has spent time with the National Environment Agency in Singapore on a secondment and also interned with the Environment and Development Division of the United Nations Economic and Social Commission for Asia and the Pacific. Tony has worked with a diverse group of clients, ranging from local SMCs to multinational corporations in several industries such as energy and utilities, real estate and infrastructure, manufacturing, media, pharmaceutical, and retail. 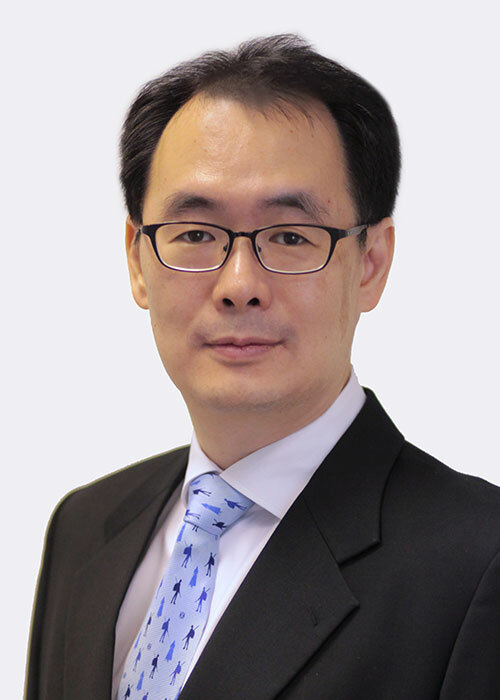 Tony has also provided legal support to non-profit organisations in Singapore and has been involved in a diverse portfolio of work and projects involving government agencies such as National Environment Agency, People’s Association, National Arts Council, and Tripartite Alliance Limited.